Government First grade College, Vijayanagara , Bangalore that celebrated its Silver Jubilee during the year 2010-11 came into existence in the year 1985-86 with just 22 students. Today it has grown exponentially and is providing quality education to over 2766 students in Humanities, Commerce and Management and Science streams including Post Graduation in Kannada. The college is ideally located in the residential area with powerful social capital which acts as a strong support system to the institution and the students. As it is centrally situated, it enjoys the privilege of densely interconnected transportation network. The college is affiliated to Bangalore University and recognized under 2f and 12B of UGC act. 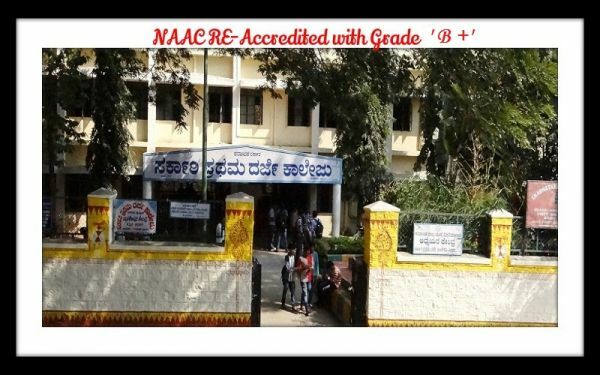 The Institution was last accredited by NAAC in 2009 with grade B. Presently this college is going for the 3rd cycle of accreditation. The college has grown under the guidance of many illustrious principals and is poised to achieve great heights under the leadership of the present principal Prof.Muthuraju.M.